Ideal UTP/STP/Coaxial Cable Strippers features: lightweight, compact, cost-effective stripper is simple to operate, adjustable blades can be set for any depth to help ensure nick-free strips, use with twisted-pair wire, tightly wrapped stramded cables, CATV cable, CB antenna cable, SO, SJ, SJT, and other types of flexible power cords, includes three straight and one round blade. 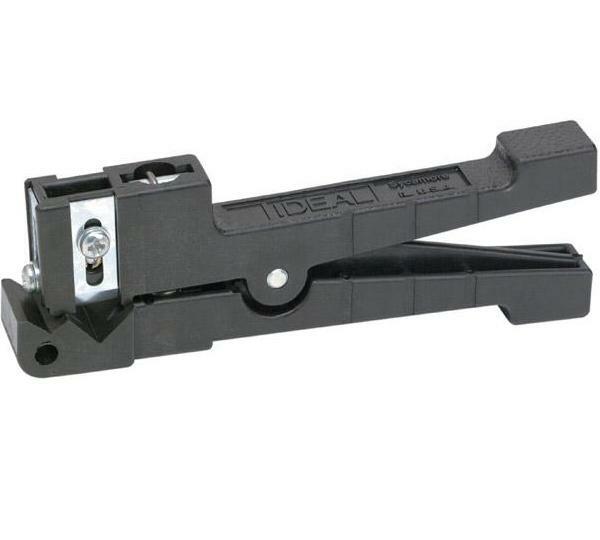 Coaxial Stripper - 3/16 in. (4.8mm) to 5/16 in. (8mm) O.D.